Smelter of the Detroit Copper Mining Co., ca. 1896. 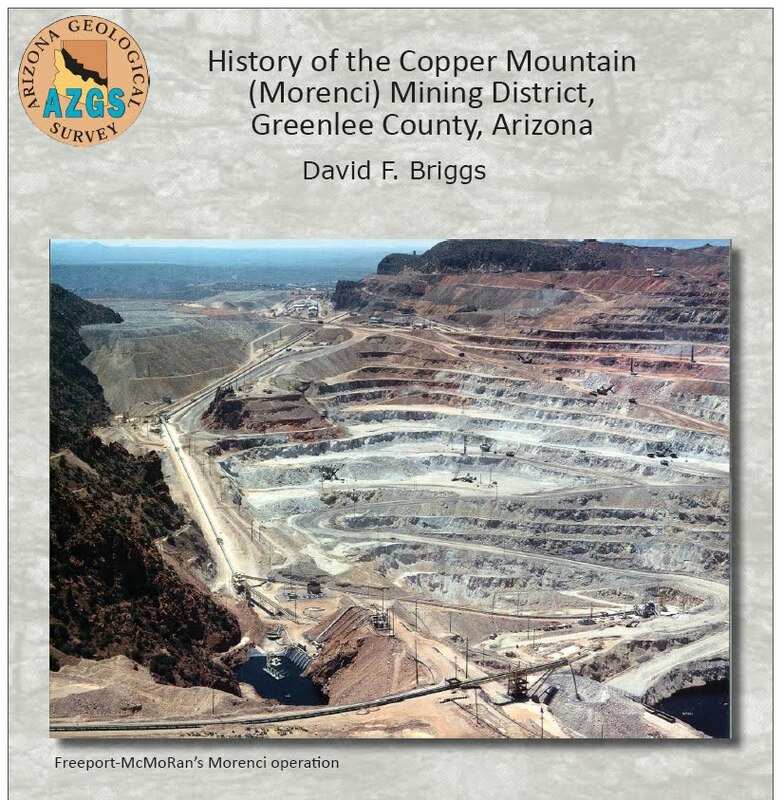 The definitive mining history of Arizona's iconic Morenci mining district by geologist David Briggs is now available online at http://repository.azgs.az.gov/uri_gin/azgs/dlio/1695. 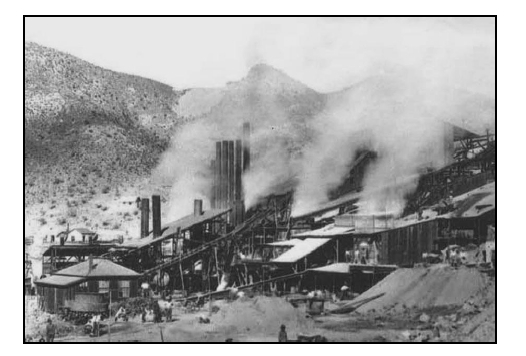 This 76-p manuscript with 41 illustrations exhaustively examines mining activity in the Morenci area from 1870 to 2015. 'During the early 1870s, prospectors who first ventured into the area that would become the Morenci mining district found evidence of primitive excavations at the site. Although Native Americans did not attempt to smelt the colorful copper-bearing oxides extracted from these ancient mine workings, it appears they used these minerals as pigments in their pottery and for other decorative purposes (Colquhoun, 1924). The first record of copper mineralization near Morenci appears in a report prepared by soldiers of General Carleton's Regiment of California Volunteers, who camped near the junction of Chase Creek and San Francisco River for a few days in January 1863 (Watt, 1956). While there, they noted the presence of strong copper oxide staining on numerous outcrops that lined the slopes along Chase Creek and named the area Copper Mountain. Scouting parties also discovered placer gold along tributaries of the Rio Prieta, now known as Eagle Creek, in concentrations that ran as high as "forty cents (i.e. 0.02 troy ounces) to the pan" (Cogut and Conger, 1999a). 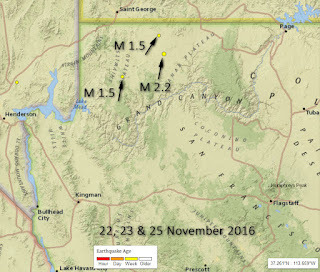 Three (3) small magnitude earthquakes occurred in northwestern Arizona over the past week. 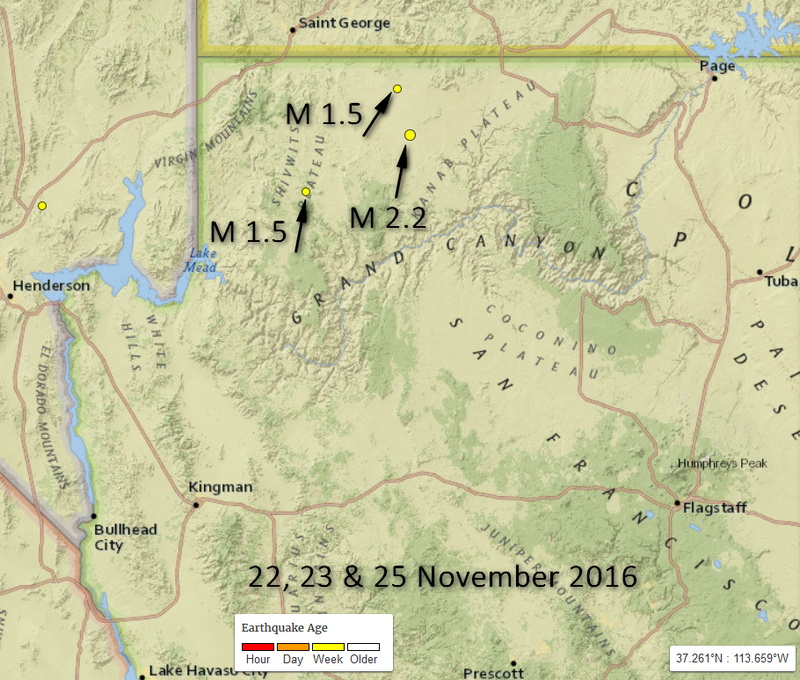 The largest event was M 2.2, ~ 22 miles south of Colorado City, AZ, on 22 Nov. at 7:31 pm. USGS estimates the focus (depth) at 13.3 km. On the included map, yellow circles represent earthquake epicenters. 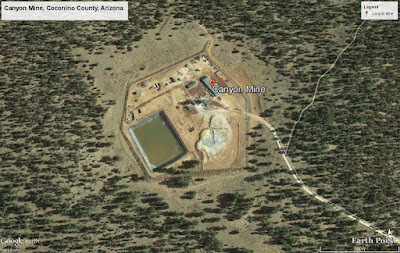 Energy Fuels Inc. Canyon Mine property, 9 miles south of the South Rim of Grand Canyon, Arizona, is reporting high-grade uranium and copper intercepts. Uranium markets are floundering at about $20/pound, so the discovery of high-grade copper intercepts is an unlooked for economic boon. 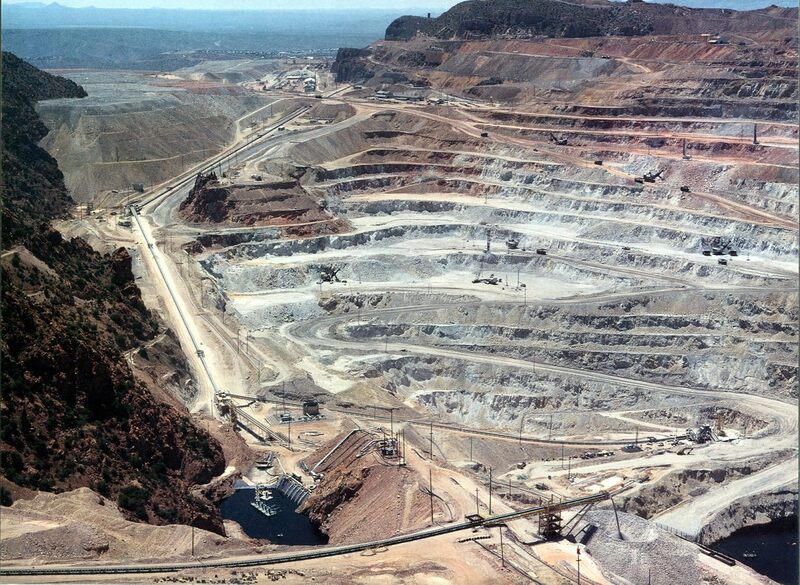 Copper grade in 5 holes approaches 9%, and one intercept found copper grades over 31%. According to a recent report by Energy Fuels Inc., 13 holes have been drilled and most have intercepted uranium mineralization at multiple levels. One section, 8.5-feet long, yielded an average grade of 6.88% eU3O8*, and another 48-feet section averaged 1.02% eU3O8. Energy Fuels Inc. plans to drill a total of 15 core holes. *eU3O8' refers to an equivalent uranium oxide grade that is based on the conversion of a radiometric gamma log determination of radioactive mineral abundance to calculated uranium content. Sedona's Red Rock country includes some of the most spectacular scenery to be found in Arizona. 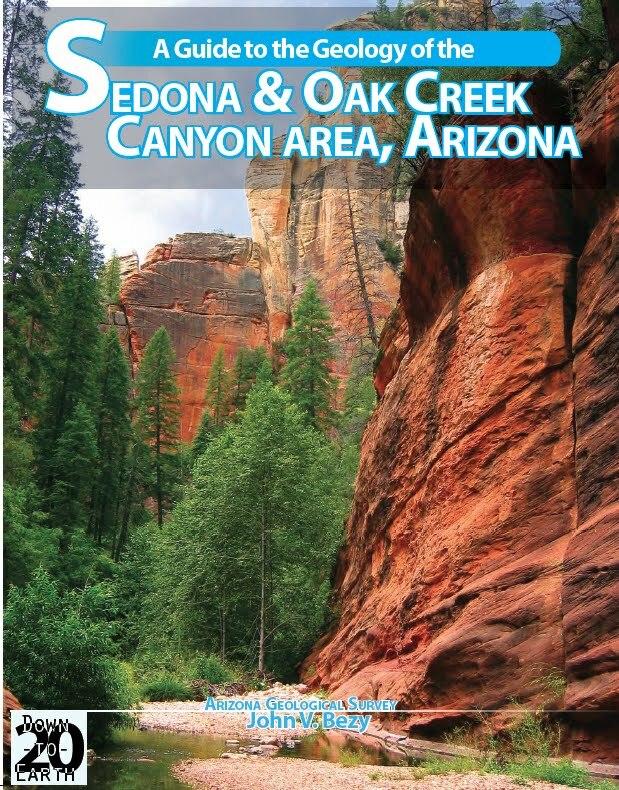 From author John Bezy’s introduction: The Sedona-Oak Creek Canyon area offers some of the most unique and spectacular geologic features in northern Arizona. Because of the relatively sparse vegetation most of these features are easy to recognize and photograph. Some of these geologic features are common on the Colorado Plateau of northern Arizona, western Colorado, southern Utah, and northeastern New Mexico. Others occur in many other parts of the American Southwest. This booklet is your field guide to the geology of this magnificent landscape of red rock pinnacles, buttes, mesas and canyons. All of the geologic features described in the text can be reached by short walks from Highways 89A and 79, Road 78, and from U.S. Forest Service roads. This booklet is written for the visitor who has an interest in geology, but who may not have had formal training in the subject. It may also help assure that the visiting geologist does not overlook some of the features described. Drawing near, the definitive mining history of Arizona's iconic Morenci mining district by mineral exploration consultant David Briggs. This 76-p manuscript with 41 illustrations detailing mining activity in the Morenci area from 1870 to 2015 will be released as an AZGS Contributed Report in the final weeks of Nov. 2016. Keep your eye out for it. 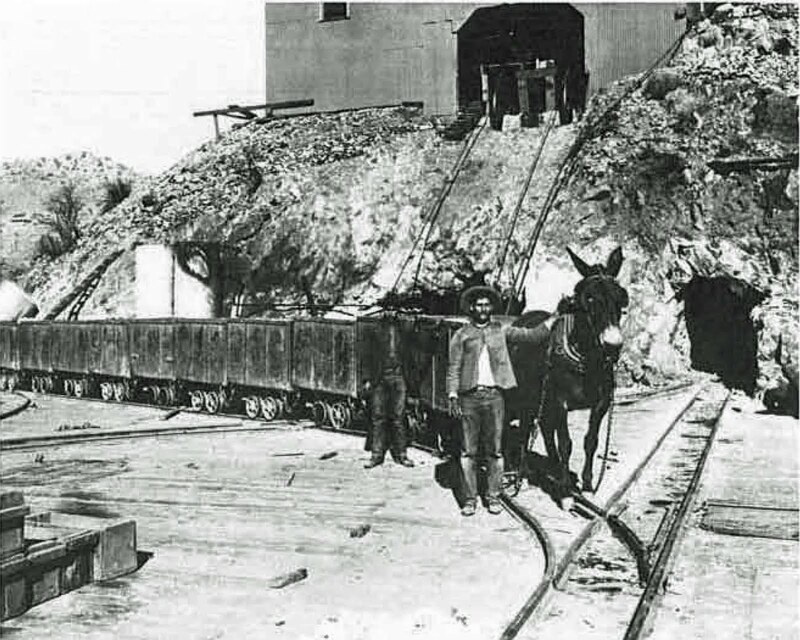 From the introduction; “Mining activities at Morenci evolved from small pick and shovel operations that relied on burros to transport the ore to primitive adobe furnaces to a world class mining project that employs the latest mining practices and technology to produce copper, which makes our modern lifestyle possible. This transformation didn't just happen. It was the product of wise investments made by visionaries like Henry Leszinsky, William Dodge and Edinburgh capitalists, who provided the financial backing that made the early mining ventures at Morenci a reality.